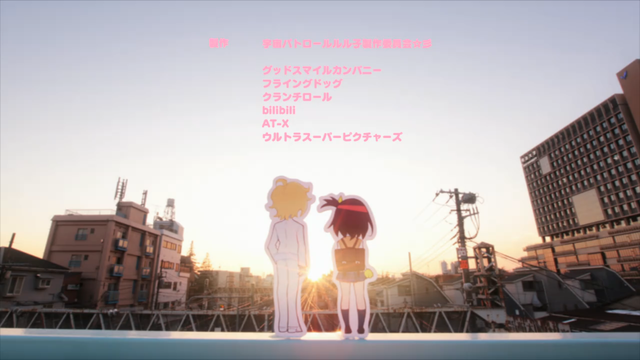 I decided to make an "official" list of shows produced/co-produced by Crunchyroll. I wanted to keep track of what shows Crunchyroll is involved in so as time goes on and as we learn more I will be updating this list. Above are shows are that confirmed to have CR involvement. If anybody else knows what other shows CR is involved with let me and I'll edit the list. I think they might have helped with magical girl raising project. I think there name in the credits. I'll have to check..
Mahoutsukai no yome is definitely the best one. I completely forgot about that, they did co-produce that. Editing. Also to note, CR is currently in a co-production partnership with NBCUniversal. I highly believe Gamers! from Summer 2017 is co-produced by CR but right now there is no confirmation or reliable source to confirm it. They co-produced Testament of Sister New Devil, but not the sequel? Lots of Crap on that list, lots. Not everything can be an AOTY-worthy anime. In the span of a year there are maybe like five shows that will have any significant lasting impression, and even then, I think I'm overestimating. There's some crap here, but there's still some good. Building that trap shrine one figure at a time. Magus Bride seems to be one of the more obvious ones with Crunchyroll announcing the simulcast almost the same time as the anime's existence announcement, having the OVAs and the general promotion they're giving it but it doesn't seem like they actually funded it. Firstly why omit it from this list: http://www.crunchyroll.com/anime-feature/2017/12/30/crunchyrolls-2017-co-productions? sure it says "some" but putting Magus Bride would have brought a lot more hype than Piacevole or Idol Incidents. Secondly is they aren't listed on the production committee during the ED. 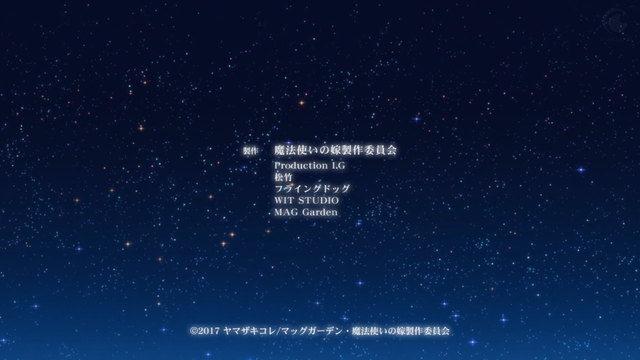 Production IG, Shochiku, flying DOG, WIT Studio and Mag Garden. I frequently see English sources list how you do omitting WIT but adding Crunchyroll and I have yet to see a Japanese source put Crunchyroll there. Good Smile Company, flying DOG, Crunchyroll, bilibili, AT-X, Ultra Super Pictures. Crunchyroll is always in katakana as クランチロール for some reason. I checked the Magus Bride site just to be safe but got the same thing (except replace the titles). Unless Crunchyroll chose to be hidden on Magus Bride for some reason they do not seem to have had any hand in producing it. I’m pretty positive CR co-produced AMB. CR announced its acquisition literally 7 days after its official announcement, they’ve been marketing the hell out of it ever since and they two theatrical screening (encore included) for it. Perhaps they’ll announce it later as they did say that’s not everything they’ve co-produced. For "Sora Yori mo Toui Bashi", CR announced that it is one of the co-productions resulting from the CR-Kadokawa deal during Anime Expo.